Science tells us how trauma affects the brain, yet it never fails to surprise me how often people suffering from Post Traumatic Stress Disorder wait endlessly for the right tools for healing while no one provides them. But I guess I shouldn’t be surprised. In my own experience (I’ve had about 8 solid years of therapy in my life – that’s a lot of therapists! ), there are many therapists who believe that in order to help someone heal, all you need to do is be a good listener. What I know from almost 2 decades of work as a therapist is that when you finally come to therapy, you have already exhausted other options. You’ve talked to plenty of “good listeners” and found that having someone listen simply isn’t enough! I also have a bias that says that healing trauma requires guidance, but when healing occurs it is because the victim has healed herself. Healing is an active, specific process. It requires self-direction under guidance. When you experience trauma, a series of events occurs within your brain. Did you know that what happens in your brain both different from and exactly the same as what happens in your brain leading to happy memories? 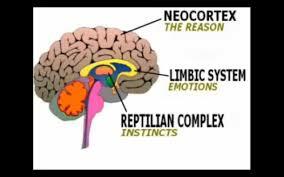 The sights, sounds, smells and others sensations connected to trauma reside in a separate location within the brain from the area where logic and reason happen. Trauma sensations stay in the emotional center of your brain. This is deep inside your brain, separate from where you think about and talk about things that happen in your life. This is why it is often difficult to talk about trauma – words don’t reside in the same place where physical and emotional memories are stored. The place where these memories are stored are activated not by words and thought, but by environmental events. This is why you don’t have to talk about your trauma for it to be activated in a way that causes you to experience it again and again – just as if it were happening for the first time, every time. When something happy and yummy is registered into your sensation memory banks, those memories are stored in the same location of your brain. However, the happy memories are not “downloaded” with heightened emotions that register them as danger signals in the brain. So the happy sensation memories don’t come back with nearly as much force as the traumatic sensation memories do. Real estate agents use this information to a seller’s benefit when they give the instruction to “bake cookies” to help a homeowner sell their home. The agent knows that the smell of freshly baked cookies can inspire lots of happy memories for potential home buyers. The happy feelings in the background of awareness while a buyer walks through the house can help the buyer decide that this house is the house for them – rather than another house. It’s subtle. But it works! The other similarly between traumatic and happy memories that you need to know is this: there is no awareness of time in the emotion center of your brain. We enjoy it when a smell, sound or physical sensation brings us back to a happy memory because we get to relive the memory with pleasure. When the sensations are positive, we don’t mind going back in time. With trauma, however, going back to the experience and re-living it causes more fear, anxiety and trauma each time a traumatic memory is lived again. But you can disrupt this process and reduce the fear and anxiety triggered by your memory. You can do this using the fact that this part of your brain isn’t connected to time. There are specific strategies which are very effective at creating space between “then” and “now” so that instead of re-living your trauma, you can increase your feelings of confidence and safety. As you practice these strategies, your level of safety will increase over time. So, don’t give up. PTSD is not a life sentence. The podcast connected to this post outlines the strategy of disconnecting your painful memories from the here and now. In effect, once you know how to insert a clock in your brain that reminds you that memories are then-not-now, you will begin to control and eliminate your trauma symptoms. 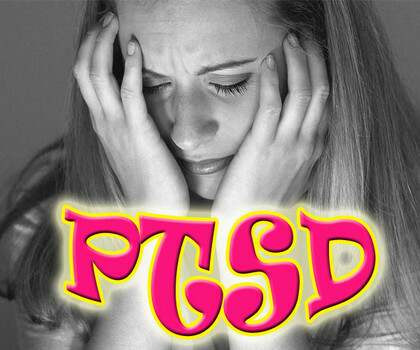 To hear more about recovering from PTSD and specifically how to help yourself neutralize your triggers, click here. Not too long ago, I wrote about how I worked on my triggers. (*) This is a more detailed discussion of how and why trauma affects a person the way it does, including creating triggers. I saw this on Athena’s blog and came over here. It’s helpful to understand how the brain works with trauma. And on your other point, I’d go nuts (no pun intended) if I went to a therapist who just listened to me and offered no guidance — but what an easy way to make a living! Thanks for making the trip over to see us! Your comment makes me think you have been well-cared for by a therapist who understands and can teach about how trauma affects the brain. So glad! 🙂 Unfortunately, I’ve met too many people who haven’t been exposed to this helpful info. Thanks for visiting and for taking the time to comment.